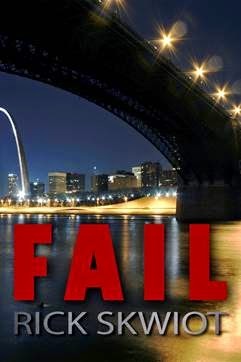 In FAIL, disgraced African American St. Louis Police Lieutenant Carlo Gabriel wants fiercely to return to the headquarters hierarchy from which he has been exiled to the city’s tough North Side. All he needs do is track down the missing husband of the mayor’s vivacious press secretary. Instead he unwittingly and unwillingly unearths a morass of corruption, educational malpractice and greed that consigns thousands of at-risk youths to the mean streets of America’s erstwhile murder capital. Worse, it’s the kind of information that could get a cop killed. Fail deals in part with an incident similar to one that has recently been in the headlines—the shooting of an unarmed black youth by a St. Louis area police officer. Was this coincidence, and, if so, where do the similarities end? RICK SKWIOT: Yes, the tragic August 2014 shooting in suburban Ferguson, Missouri, occurred just as Fail was going into print. Luckily, this was an isolated incident. But the culture of violence, gunplay and institutional failure that often contribute to street tragedies are front and center in Fail. In it a black cop, Carlo Gabriel, unwittingly unearths a morass of political corruption and educational malpractice that each year put hundreds of vulnerable dropouts on the mean streets of St. Louis—America’s erstwhile murder capital. What Lt. Gabriel does about it … well, that’s a key part of the mystery, in addition to an intricate and surprising missing person search and an unlikely murder. LUCY BURDETTE: Your main, point-of-view character Carlo Gabriel is a black cop—or “Halfrican” as he describes himself, half African-American and half Mexican. Was it a stretch for you to write from a black point-of-view? 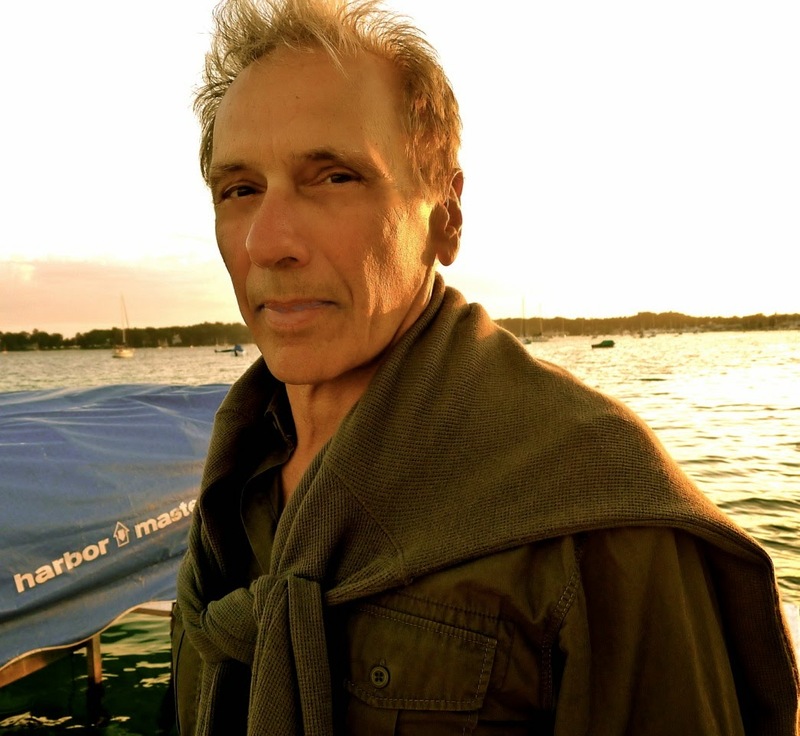 RICK SKWIOT: No more so than writing from a female point of view, a Mexican point of view, a police chief’s point or view, or a father’s point of view as I have done in previous books despite having no experience as any of those. Besides, the back half of Gabriel’s hyphenated ethnicity is “American”—where I claim substantial cred, including sharing with Gabriel the same general values, morals and, importantly, language. In addition, over the years I’ve had some important black colleagues—roommates, mentors, bosses, and buddies—who’ve played formative roles in my life and who are now part of me. For the dramatic purposes of this novel, I thought it important to have Gabriel come from the people and community who are being most victimized by the corruption and decay chronicled in Fail. LUCY BURDETTE: This is such an amazing coincidence--it makes me wonder... How fictionalized and exaggerated is the St. Louis area political and educational corruption you show in the book? RICK SKWIOT: Fictionalized hardly at all and grossly understated. ‘Ghost’ workers at city hall who draw a salary without working, city employees looting hundreds of thousands of dollars from charter schools, a police chief apparently involved in a towing company kickback scheme, a campaign money-laundering ploy to which the governor pleads guilty, schools rigging test scores to cover up their malpractice—I made none of that up and can document it all and much more. Read the newspaper. It’s an ongoing story in St. Louis and a number of other cities. LUCY: Now out to you, Jungle Red Readers... Fiction has a history of weaving social issues into the plot and characters. Which crime fiction writers do that well? Other questions for Rick? He'll be visiting with us today and also offering a signed copy of FAIL to one lucky commenter! there's Lee Child, Michael Connelly, Jeffrey Deaver, Laura Lippman, Faye Kellerman, Jonathan Kellerman, Archer Mayor, Kathy Reichs, Lisa Scottoline, and so many more . . . .
Rick, it's a sad commentary on our society when the crime fiction you describe is the truth for so many cities --- Do you think shining a light on it in a work of fiction will have any effect on galvanizing folks to do something about it? I am looking forward to reading "Fail" . . . . Historically, Joan, fiction has worked to move people to action regarding social ills. Uncle Tom's Cabin and slavery, David Copperfield and child labor, the Grapes of Wrath and the plight of migrant workers. I'm sure you can name other books. My book Fail not only works to highlight the dire plight of inner city education and the tragic toll it takes on youth and society, but also offers some hope and, perhaps, some healing for St. Louis. At least that is what some of the early reviewers are saying. I watch real-life action-heroes like the Southern Poverty Law Center in awe. They tackle cases like a justice and educational system in Mississippi that routinely incarcerated black youths for offenses such as being tardy in school. Fiction can take those true stories and shine a light on them--and I think in my cynicisim that there are so many hidden stories--the work is never done. Then along comes someone else willing to shine that light--bravo, Rick! I'm with Joan - I don't think I could make a list and her sounds good to me. As for real life corruption and fiction - I venture to guess that much of what really exists out there would never fly in a book because readers wouldn't buy it. Quite often, truth really IS stranger than fiction. I think To Kill a Mockingbird is another instance of fiction shining a light on truth. Sometimes, it may be easier to face up to hard truths when it comes in the "it's only a story" wrapper - and that's where I've always thought of fiction as "true" stories. Thank you, FChurch. You are right. When done well fiction can make readers feel what it's like to be in someone's else's shoes and thus expand the bounds of human sympathy. Hi, Rick, and thank you for sharing your work with us. In a way, writers who increase awareness of issues like corruption in government are the real Caped Crusaders of our world. That is your very own superpower. Of course, no list of writers who do this would be complete without mentioning Hank! I agree with you, Mary. I've long thought that fiction offers us a deeper truth, one that can affect us not only intellectually but also emotionally, viscerally, morally, spiritually, etc. James Church and his Inspector O series, showing us what life is like in North Korea, and Peter Temple, whose novels depict dysfunction in urban Australia. And yeah, as a reporter, I see how the world works--or doesn't--and that inevitably gets into my fiction. And it so common that real life events mirror plots of books that have been written years before. (The Other Woman was submitted to publishers the day of the Arnold Schwarzenegger revelation...) And a real estate agent was recently found murdered in an empty home--shades ofTRUTH BE TOLD! Colin Cottrell has done similar work with his series that takes place in southern Thailand. The first book is filled with excerpts from the speeches of George W Bush, also. The title is Killed at the Whim of a Hat. Thanks, Hank, for the welcome. I recall from my days as a newspaper reporter that you see underlying things that affect you but that you can't put into your objective reporting. However, they make great fodder for fiction. Remembering my first radio interviewer asked me if all the terrible things in the world happened because they were written about in crime novels. Of course, it's the other way 'round. And our 'fiction' can have happy-ish endings, justice served, yadda yadda, while that's rarely the case in the real world. Hi Rick and congrats on your perfect timing. I lived in St Louis much of my life, worked for City Hall, had a job that required I just show up and agree to canvass for the right candidates. I didn't stay long. I also experienced the atmosphere of ingrained racism in Murder City, not to mention street crime and gang activity that found me at the end of a gun muzzle held by a young gangster going through gang initiation. I'm already a fan of your books, but really looking forward to this one as I plan a trip to visit family in STL. This book should get lots of attention! Exactly! I've had interviewers say--why do you do those news stories? It'll tell the criminals how to get away with things! I shake my head. I ain't telling bad guys anything they don't already know. Thank you for the note, Susan. Yes, there is ample material for crime writers in our cities--enough for everybody. And the criminals there--elected and otherwise--are so inventive that it makes our job much easier. Fail sounds great. I read your bio and wonder if you had to visit St. Louis to get the street names and neighborhood references right or research the from afar? What was the biggest challenge about the setting? Maude, what my bio omits to say is that I am a St. Louis native who has spent a lot of time on its streets over the years and still visit there frequently. However, as I was writing the book in Key West and needed to check facts and locations etc., I relied heavily on the Internet. For a scene set in the mayor's office, where I had been once years ago, I went to Google Earth and zoomed down the north city of City Hall and was able to see what the perspective was from that locale and was thus able to describe the view. Brilliant! The toughest part was getting all the police stuff right. Luckily I got some good help from the SLPD's PR guy and the director of the policy academy, who spent a good deal of time on the phone with me answering questions and filling me in on equipment, procedures and organization. In my previous comment I meant to say, "I zoomed down the north side of City Hall," not the "north city of City Hall." Blame it on the Beaujolais. I've been gone all day and am commenting late, but I wanted to say hello to Rick and thank him for providing me with a great read 2 1/2 years ago when I discovered Key West Story. The young Ernest Hemingway character, whose presence can only be explained in terms of guardian angel sent to help a struggling writer, was so interesting to follow. Rick, you made me feel like I was walking in Key West along with the characters, just like Lucy's does in her Haley Snow series. Thanks, Kathy. I'm glad you liked Key West Story. I think you'll find Fail to be much different in terms of tone and setting. Similarly, it puts you on the streets of St. Louis, for better or worse. FYI, my protagonist, the disgraced Mexican-African-American cop Carlos Gabriel, is patterned in large part after a Key West friend, an Italian-African-American.